Consider the following pictures on poverty. 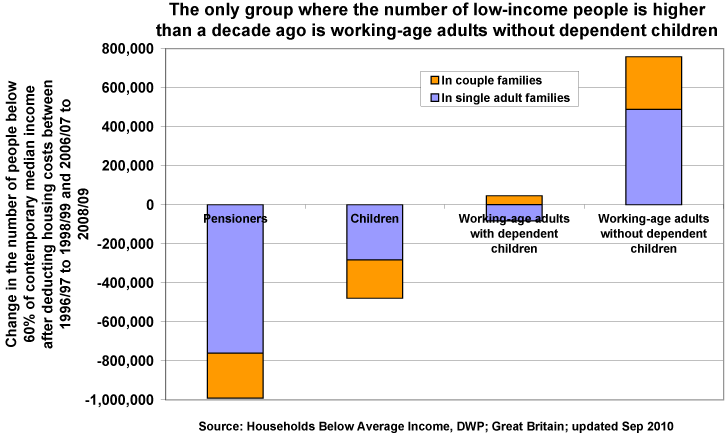 How does poverty look in the UK? Why would Economists be interested in studying poverty? 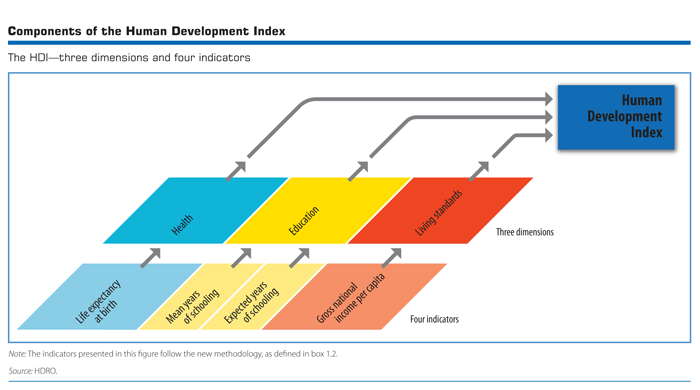 Candidates should understand how living standards can be measured, eg GDP per capita, household income and wealth, level of education and standard of health. • GDP measures annual economic output — the total value of new goods and services produced within a country’s borders. • Real GDPis the inflation-adjusted value. • Average GDP per capita tells us how big each person’s share of GDP would be if we were to divide the total into equal portions. Unpaid work —Real GDP per capita doesn’t acknowledge the value of housework, in-home child care, in-home elder care, volunteer work, and community service. Distribution of wealth — There’s always the possibility that a large share of the gains in real GDP per capita will go to a relatively small percentage of the population. And, in the bad old days, gains were also more likely to be skewed along gender, racial, and ethnic lines. undesirable changes as increased traffic congestion or loss of open space. How do you measure income inequality? The average annual earnings of full-time workers in the UK rose by 1.4% to £26,500 in the year to April 2012. The figures have been published by the Office for National Statistics (ONS) in its annual survey of hours and earnings. There was a cut in the real value of pay, however, as inflation was higher during the same period, at 3.5%. And the ONS data also reveals that inflation has outstripped the rise in average pay for the past 12 years. The survey results show that since April 2000, average annual pay for full-time workers has risen by 40%, from £18,848 to £26,500. In that time, inflation, as measured by changes in the retail prices index, has gone up by 43%. However, the trend has accelerated in the past five years since the onset of the international banking and financial crisis, the consequent recession in the UK and the imposition of austerity measures by the government. In just five years since April 2007, prices have risen by 18%, while average annual earnings have gone up by just 10%. That has left wages and salary increases lagging behind inflation by 8% in just five years. Candidates should understand the meaning of poverty in terms of a lack of basic necessities (absolute) and a lower income than other groups in society (relative). Read the following article: Just what is poor? 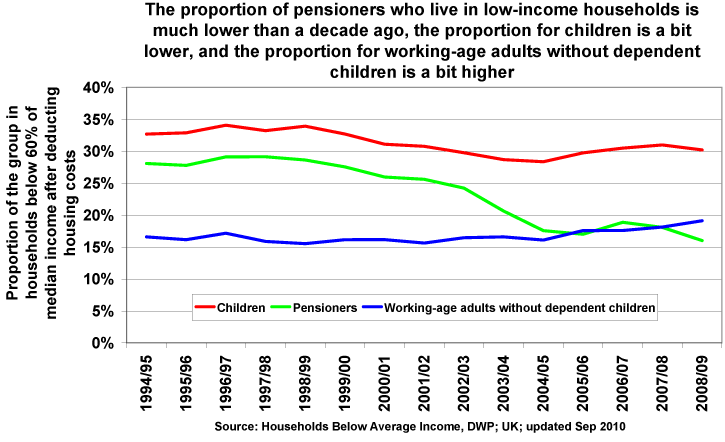 How is relative poverty measured in the UK? How do we know what people earn? Why the median, not the mean? Why 60% of the median and not 55 or 65? What is the difference between absolute & relative poverty? Candidates should be aware of some of the main causes of poverty, eg unemployment, lack of qualifications, illness, age, debt, lack of information, government policy. The lower a young adult's qualifications, the more likely they are to be lacking but wanting paid work. So, for example, around a quarter of all people aged 25 to 29 with no GCSEs at grade C or above lacked but wanted paid work in 2010 compared to one in fifteen of those with degrees or equivalent. All levels of qualifications appear to make a noticeable difference. The lower a young adult's qualifications, the more likely they are to be in low-paid work. So, for example, around half of all employees aged 25 to 29 with no GCSEs at grade C or above were paid less than £7 per hour in 2010 compared to one in ten of those with degrees or equivalent. All levels of qualifications appear to make a noticeable difference compared with the level below. The overall conclusion is that staying on in education post-16, and preferably post-18, is important, in terms of both getting work and, if in work, getting a reasonable rate of pay. 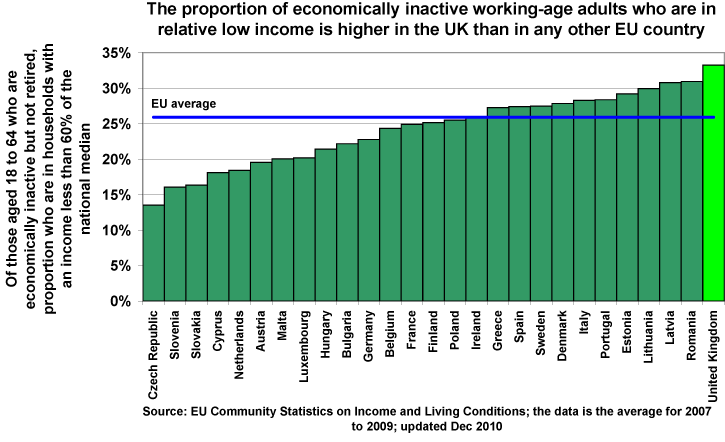 The fourth graph shows the proportions of adults who are inactive but not retired in each EU country with an equivalised household income that was less than 60% of the contemporary median for their country. Many of these people will be disabled. Research the recent changes in George Osborne's spending review. Explain how what you have found will this have an impact on poverty? Evaluate the degree of influence you think it'll have? How is Government policy associated with information failure? Candidates should also be aware of some of the possible effects of poverty on individuals, groups and on society as a whole, eg the possibility of a cycle of poor educational attainment, joblessness and poor physical and mental health. People in England's poorest areas live an average of seven years less than those in the richest ones, says a major report on health inequalities. Epidemiologist Sir Michael Marmot, says the NHS must spend much more on preventing illness. And he calls for an increase in the minimum wage to allow everyone to have a healthy lifestyle. Health Secretary Andy Burnham has welcomed the government-commissioned report and said more work was needed. The Marmot Review shows that although life expectancy has risen in poor and rich areas, inequalities persist. People in the poorest neighbourhoods will also spend a greater proportion of those shorter lives unwell. The report estimates up to 202,000 early deaths could be avoided, if everyone in the population enjoyed the same health as university graduates. Doing nothing to tackle these inequalities would cost the economy more, according to the review, which says inequality in illness accounts for £33bn of lost productivity every year. The report says "action is essential" because more than three-quarters of the population experience significant illness by the age of 68 - which will by 2046 be the pensionable age for men and women in England. And there's a call for NHS spending on preventing illness to be much higher than the current 4%, with more money going to initiatives such as providing statins and helping people to stop smoking. The authors feel their most important recommendation is giving every child the best start in life. In this graph, the data is shown for both English and maths by gender and whether or not the pupil is eligible for free school meals. What factors determine your academic success? What are the different ways that poverty could influence your educational attainment? Why is educational attainment related to poverty? Consider both absolute & relative. What is meant by a cycle of poverty? How is it relevant to this theme/topic? What are the economic costs of unemployment for the individual and the economy? Candidates should be aware of solutions to poverty, eg changes to the taxation and benefit system to favour those on low incomes, the national minimum wage, improved training and education. Candidates should also be aware of some of the ethical considerations regarding the choice of solutions, eg what level of relative poverty is ‘acceptable’ or the possibility of encouraging joblessness through the granting of benefits. >Research the existing tax & benefit system for the UK. >How effective do you believe it is? Discuss these two different methods of reducing poverty, and recommend which one of these methods would be most effective in a developed country (12 marks). > Is a certain level of inequality a good thing? > What are the problems of high levels of inequality? > What determines the acceptable level of relative poverty? >What potential problems can a benefit system create? > What makes a successful social security system? > How effective is this method at solving poverty? > What is meant by the poverty trap? > What is meant by the unemployment trap? THIS MORNING: Why work, when I'm doing so well on benefits? How is the minimum meant to alleviate poverty? How does it differ to the living wage? What does the discussion of the living wage suggest about the effectiveness of this measure? What disadvantages exist for minimum wage and possibly making poverty worse? What policy changes can you identify from the interview? Do you believe these changes are for the better? What the difference between education and training? Do they target different groups? Sir Michael Barber, Pearson's chief education adviser, says successful countries give teachers a high status and have a "culture" of education. International comparisons in education have become increasingly significant - and this latest league table is based upon a series of global test results combined with measures of education systems, such as how many people go on to university. This composite picture puts the UK in a stronger position than the influential Pisa tests from the Organisation for Economic Co-operation and Development (OECD) - which is also one of the tests included in this ranking. The weightings for the rankings have been produced for Pearson by the Economist Intelligence Unit. Britain has up to eight million adults who are functionally illiterate, a report out today revealed. The World Literacy Foundation said one in five of the UK population are so poor at reading and writing they struggle to read a medicine label or use a chequebook. According to research, this rate of illiteracy is costing the UK economy £81billion a year in lost earnings and increased welfare spending. That is the highest cost in Europe - twice that of Germany's and three times the drain on France's purse. Overall the UK was ranked third worst for reading and writing behind Italy and Ireland with six to eight million people illiterate. Report author and the foundation's chief executive Andrew Kay said: 'We need to treat illiteracy as a disease that we are aiming to eradicate. Meanwhile, another study suggested pre-schoolers whose parents provide a stimulating home life are still reaping the benefits at the age of 14. A study by the Institute of Education found the quality of learning during a child's early years has a strong impact on achievement in secondary school. It reveals that children whose parents focused on their learning at a young age are generally one national curriculum level ahead in English and science, and 1.3 levels ahead in maths. The findings come from the Effective Pre-school, Primary and Secondary Education Project, which has been following the development of around 3,000 children since 1997. The study also shows that looking at students' background, the mother's level of qualifications was the strongest indicator of achievement. Students with parents who were educated to degree level were more likely to be 1.4 national curriculum levels ahead in English, 1.7 levels ahead in maths and 1.5 in science. This is compared to youngsters whose parents had no qualifications. What employment policy do you believe would be most effective in reducing poverty? The UK government might consider the following two methods to reduce poverty. ● Raising the National Minimum Wage from around £6 per hour to £8 per hour. Discuss two different methods of reducing income inequality, and recommend which one of these methods would be most effective in a developed country (12 marks).